A close relative of the superb ‘Sarpo Mira’ introduced in 2005. Potato ‘Sarpo Axona’ is very similar in all respects, particularly with its outstanding blight resistance. 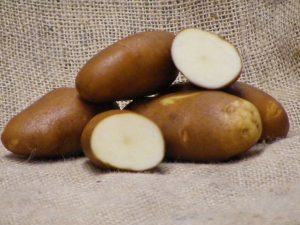 The tubers are more regular in shape and also the flesh is slightly more creamy. 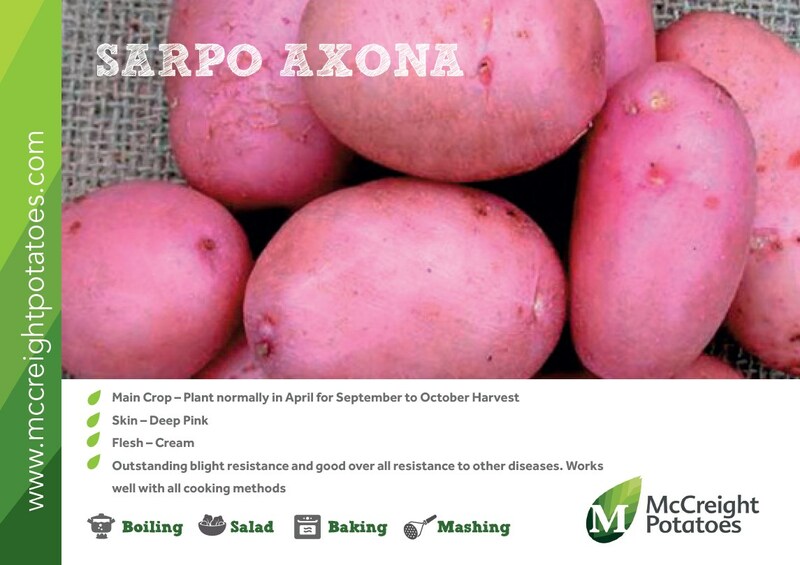 This late maincrop has excellent flavour and lends itself well to all methods of cooking. 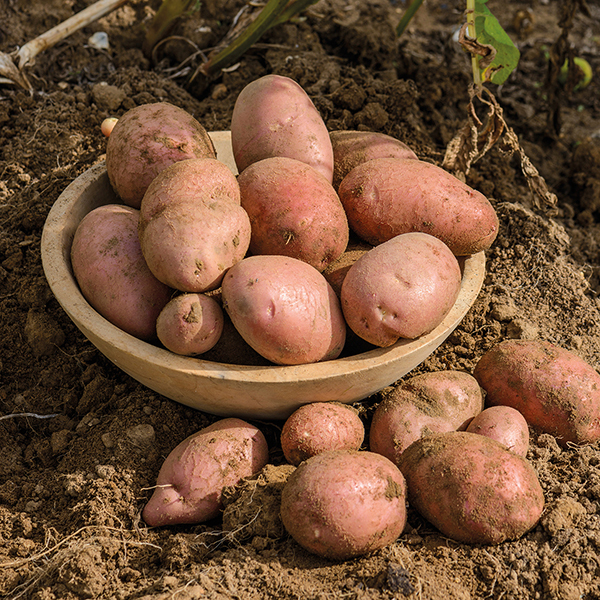 A tasty all-rounder that has good disease resistance – what more could you want? 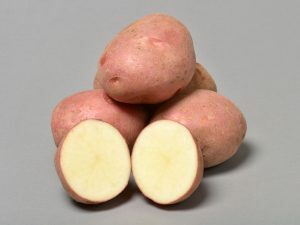 All potatoes are kept in cold storage – you will not find better quality potatoes anywhere else. Patch are specialists in all things potato. 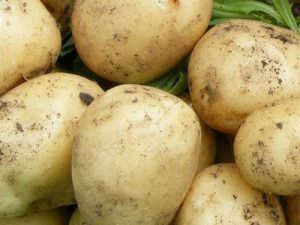 Our clients receive only the highest quality seed potatoes – order with confidence. Before packing, visual checks are completed on all items. Therefore, please advise us immediately you receive a damaged item.